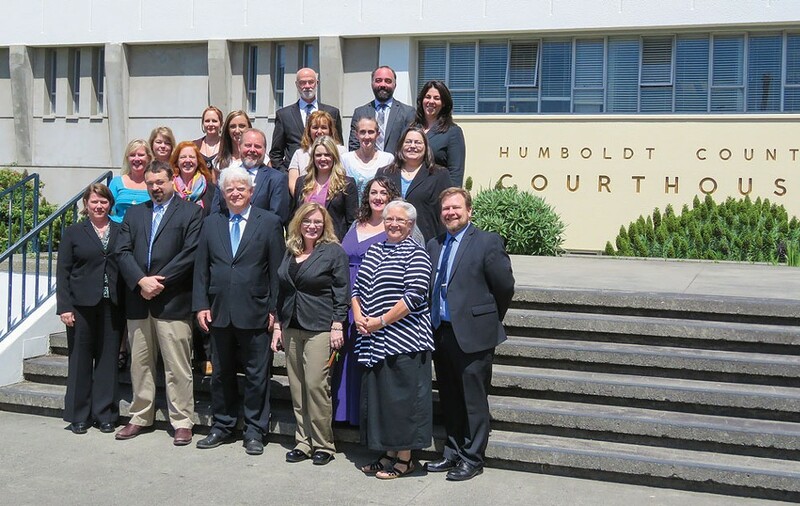 The Humboldt County Board of Supervisors issued a press release after emerging from closed session today, reaffirming its support for embattled Public Defender David Marcus. "During this meeting, Mr. Marcus reaffirmed his commitment to carrying out the mission of the Public Defender's Office, which is to provide aggressive, competent and ethical representation to indigent persons facing deprivation of liberty or other civil rights in a cost-effective manner," the press release stated. See it copied in full below our original post. The Humboldt County Board of Supervisors is scheduled to meet in closed session today to evaluate the job performance of David Marcus, the county’s embattled new public defender. The supervisors’ conversation comes a day after eight members of the non-attorney staff of the public defender’s office sent the board a scathing letter, a copy of which was obtained by the Journal, alleging that Marcus has “crippled” the office, has given clients “completely inaccurate” legal advice and “literally attempts to have non-lawyer support staff provide him with answers to legal questions.” The letter comes just about two weeks after all nine of the office’s deputy public defenders sent the board a similar missive, alleging Marcus is unqualified and unfit for his position. In addition to the unprecedented letters from the public defender’s office staff, the board is also facing a lawsuit brought by local attorney Patrik Griego alleging that Marcus doesn’t meet minimum state qualifications for his position and asking a superior court judge to rule him ineligible for the job. The lawsuit hinges on a California statute that requires a public defender to have been practicing in “all the courts of the state for at least the year preceding” his or her hire. The board, meanwhile, has been largely silent on Marcus since his hire. Second District Supervisor Estelle Fennell said he is “well qualified” for the post and she expected him to “hit the ground running,” while urging the community to give him a fair chance. The board also issued a brief statement touting Marcus’ more than 20 years of experience in criminal defense work and stating that he meets all statutory requirements for the position. But Griego, and others in the local defense bar, have questioned whether Marcus does in fact meet the state’s requirements. 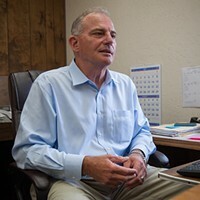 Since ending a controversial six-year tenure as Lassen County’s chief public defender in 2011, Marcus has largely lived on the East Coast and it’s unclear whether he’s litigated in a California courtroom. On his resume submitted to the county, Marcus represented that he worked for the Walnut Creek law firm of Cella, Lange and Cella from 2012 until earlier this year doing transactional real estate and property loss consulting. But Journal attempts to get an idea of exactly what — and how much — work Marcus did with the firm, which isn’t a member of its local bar association and doesn’t have any internet presence, have been unsuccessful. And a deposition transcript obtained by the Journal this week indicates Marcus didn’t list the contract work as his primary employment when being questioned under oath in January, raising questions about the accuracy of the resume he submitted to Humboldt County. The lawsuit that led to the deposition has little to do with Marcus. The short of it is that Marcus was, or is, the president of the Deer Meadows Homeowners’ Association in Florida and the association is being sued by one of its homeowners, who is alleging the association should be responsible for maintaining a drainage pond on his property. The suit circles around decisions that were made prior to Marcus’ leadership role in the association and doesn’t seem to reflect at all on his experience or capabilities as an attorney. However, at the beginning of the deposition, the plaintiff’s attorney questions Marcus about his work history. “Can you tell me briefly what’s your employment background?” the attorney asked. “Currently I’m a field adjuster for Security First Insurance, working for an IA firm called Pacesetter Claims,” Marcus replied, adding that he’s done that for three months. When asked what he did prior to that, Marcus answered that he’d worked as an insurance adjuster for another company, Peoples Trust Insurance, for the three years prior. Asked what he did before that, Marcus then noted that “through this time” he had been working as a contract lawyer at Cella, Lange and Cella. Asked if he was still practicing law at the time of the deposition, Marcus replied that he was. Neither Peoples Trust Insurance, Security First Insurance or Pacesetter Claims appeared on the resume Marcus submitted to the county and it’s unclear if the county knew he was working as an insurance adjuster at the time of his hire. 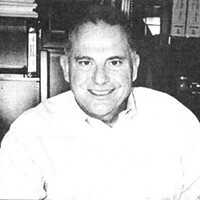 On an application submitted with his resume to Humboldt County, Marcus represented that since 2012 he'd been working approximately 10 hours a week for the Walnut Creek firm as a contract attorney on civil litigation and transactional real estate, but reported that he was receiving no monthly salary. Immediately following Marcus’ hire, members of the local criminal defense bar raised questions about his qualifications, noting that he’s been living in Florida for some years and hasn’t practiced criminal law in California, which has undergone its biggest reform in decades with prison realignment in 2012 and Proposition 47 in 2014. The letter from public defender’ employees sent yesterday alleges Marcus has failed to keep current. 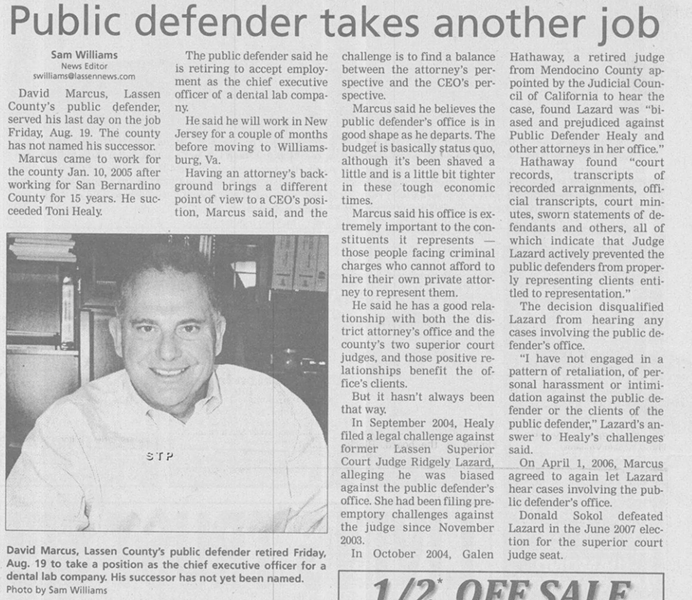 The letter closes by alleging Marcus is creating an “unreasonable burden” on employees and exposing them to the risk of lawsuits, and recounts an incident in which Marcus allegedly wanted to "call Semper Virens on" a former public defender client, which the letter alleges "is the exact opposite role of a public defender." While it may seem unusual for a department head to undergo a closed session performance evaluation after less than two months on the job, Humboldt County spokesman Sean Quincey made it sound fairly routine in an email to the Journal inquiring about county protocol. It should be noted, however, that the closed session item is also agendized under Government Code section 54957, which outlines the procedure for meeting about specific complaints brought against a public employee. Meanwhile, First District Supervisor Rex Bohn addressed the situation last week in an interview with Brian Papstein on KINS Radio’s Talk Shop. Bohn made clear to Papstein that Marcus is an at-will employee, meaning the county can fire him at any time, but then stood up for Marcus, saying he meets the “criteria” for the job and passed a background investigation. “I had lunch with Mr. Marcus the other day and he said, you know, he said things aren’t that — he says the paper makes it sound a lot worse than it is,” Bohn told Papstein, adding that Marcus is in court almost every day filling in for other attorneys in his office. “So you’re comfortable with the hire?” Papstein asked. Bohn then seemed to paint the controversy as fake news. You can read the full letter from public defender’s office employees here, and find the full transcript of Bohn’s Talk Shop comments on the public defender situation below. Copied below that, you'll find today's statement from the Board of Supervisors. Rex Bohn: It might be an issue if you didn’t get the job, I guess. Papstein: We saw that with the sheriff’s department, too, when Billy was selected, the undersheriff, all those who thought one way either retired or left. Papstein: It has been and if it doesn’t go your way, most of us don’t pick up our toys and go home. Bohn: And believe it or not, I’ve got to be somewhat careful of what I say (laughs). Papstein: Yeah, because it’s personnel related. Bohn: Yeah, it’s personnel and it’s in court. There is a suit. Papstein: So, with that as a background, why is there any discussion at the board level in public session about this? Bohn: They talked in public comment. Bohn: Let me clarify something, he’s an at-will employee, so we could send him a letter and say you’re done tomorrow. With that being said, and we have, you know, all these great journalistic papers putting everything that they know out there, um, the statute that says he has to have – I think, and I don’t know exactly – says he has to have practiced law in all courts in the last five years. Well, that’s a 1942 statute, for one, which doesn’t mean – there’s good laws made in 1942. And all courts. So, I don’t know that means if he has to start working in San Diego and work every court on his way up here to get this. But has — we spent, we spent a lot of money on a background check and the pros and cons and everything else. And he met the criteria. Papstein: Did you find out his qualifications? Bohn: Oh yes. It was a private independent firm. We do this with all major hires, so as not to embarrass the board, embarrass the people we work for, the people of Humboldt County, and to get the best possible candidate to do the job. And I had lunch with Mr. Marcus the other day and he said, you know, he said things aren’t that — he says the paper makes it sound a lot worse than it is. Things are going good. He’s in court almost every day because he has a couple of attorneys down, so he’s carrying a misdemeanor basket with him because they did misdemeanors so I guess he’s not doing felonies because he’s doing someone else’s work while at the same time trying to get a budget out because it is an administrative position. So, I mean, I know there’s some kicking and screaming. I’ve heard from about four or five other attorneys that say he seems to be doing a good job, seems like a nice guy and he is qualified because they understand that he’s worked other cases. I don’t know. I haven’t spent a lot of time but I have done some background on it. I wanted to see how he was doing. He is going to move his wife and his two young kids up here this summer. He’s looking forward. He loves Humboldt County and I think that’s a basis. He wants to work here. Papstein: So you’re comfortable with the hire? Bohn: Unless I get told something different and — except. If I reacted every time that one of these weekly newspapers sends out – or advertising magazines — sends something out, hell, I would have quit five years ago. I mean, it’s just, they have to sell their papers so they can’t just say, hey, this guy’s great. So they say this guy’s not great because we said so, and I take that in stride. Bohn: There’s pending, it’s an ongoing. One of the former — a young man who moved up here about 13 years ago who used to work in the public defender’s office, has filed a lawsuit, and I don’t know what the end game is there unless he just feels extremely wronged. But I’m sure he’s — I’ve seen him with, well, anyway — I’m sure he’s talking to someone because they’re writing lots of letters and doing quite a bit of campaigning or a few of them are. So it’ll all work out and I think maybe in a year or two, everybody will go, we’ve still got public defenders, we’re still giving them to people who need help with their lawyers, we’re still giving them their help. So, I think it’ll all be fine. Papstein: It’s always interesting how things work out. I mean, if the court finds something, obviously you guys’ decision is going to be made for you. OK. That’s pretty straightforward. And if they find out the other way, the concern I have always, will that satisfy them? Or will there be another something, until, until, until? You know, just kind of wear you down. And we’ve seen that in the environmental community, with a whole bunch of issues. You know, still doing the battle of Richardson Grove. When the Humboldt County Board of Supervisors appointed David Marcus as the county’s Public Defender on Feb. 9, the Board requested a date where they could meet with Mr. Marcus and set expectations and goals for the position. That date was today and the Board met with Mr. Marcus in closed session. During this meeting, Mr. Marcus reaffirmed his commitment to carrying out the mission of the Public Defender’s Office, which is to provide aggressive, competent, and ethical representation to indigent persons facing deprivation of liberty or other civil rights in a cost-effective manner. This was a valuable meeting for the Board to have, and it reaffirmed our commitment to Mr. Marcus as the county’s Public Defender. Editor's note: This story was updated from a previous version to include information from Marcus' job application, a copy of which the Journal received today.